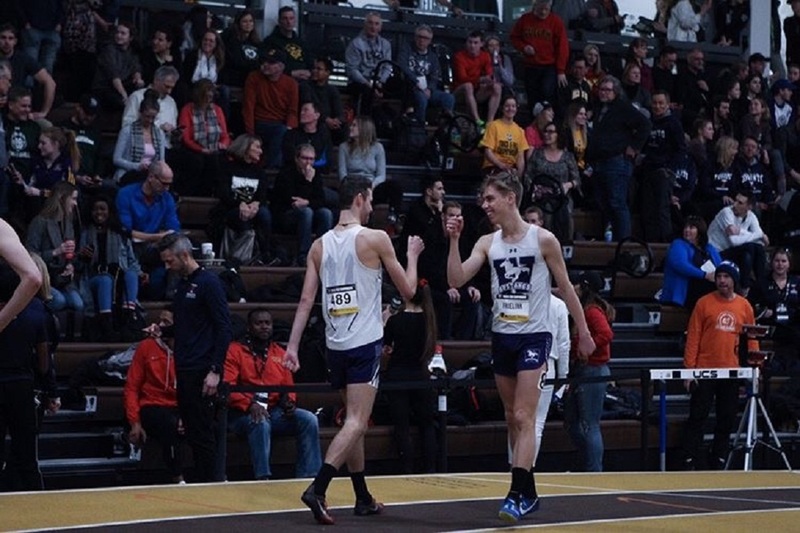 An ominous sense of déjà-vu looms around the 3000m start line when Jack Sheffar’s name is introduced as the top-seeded runner of the U SPORTS Track & Field Championships. The tall fifth-year Western Mustang stands on the University of Manitoba’s starting line, flanked by U SPORTS defending champion Angus Rawling of the StFX X-Men to his right and Laval Rouge et Or sophomore phenom Jean-Simon Desgagnés to his left. The three men – three of the fastest in U SPORTS history – wait for the crack of the gun. Sheffar’s teammates, gracing the infield, send him screams of encouragement. Under the rowdy sea of purple and white, each Mustang worries. The field is stacked with talent, but Sheffar stands inches above the rest. He is a six-time OUA gold medalist, and this year on the track, no U SPORTS athlete has beaten him. Barely a month ago, Sheffar posted an eye-popping time of 7:56.76 in Boston, upsetting two-time USA Olympian Donn Cabral in the process. Stacked with talent or not, common sense has Sheffar running away from this field and winning Western’s first gold medal of the weekend. But, as Sheffar knows too well, common sense has little place in track and field. “7:56 doesn’t mean anything if you can’t deliver when it matters,” says Sheffar. Quite ironically, Sheffar has accomplished everything imaginable in this league but that: deliver when it matters. His stunning resume has holes the size of U SPORTS gold medals, and the most-mentioned statistic tied to his name is, unfortunately, the least flattering. Indeed, a funny factoid that grew alongside Sheffar’s legend now lights up in his mind as if on the brightest of billboards. 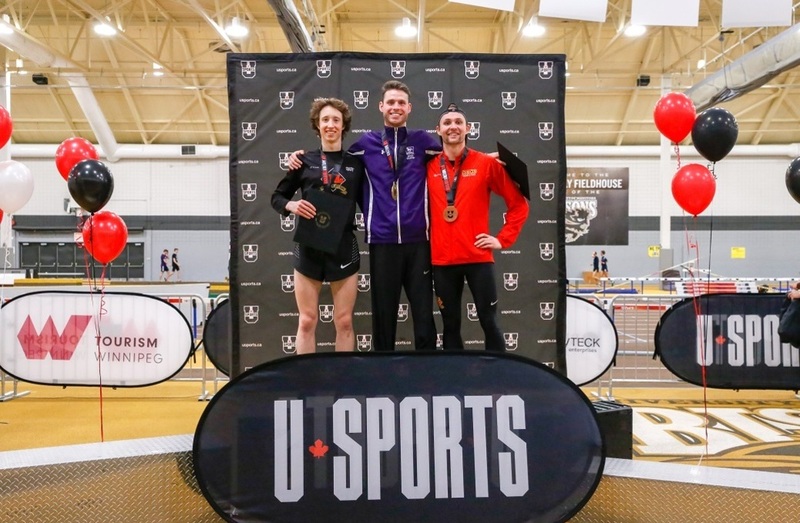 Jack Sheffar is the third-fastest 3000m runner in U SPORTS history. Jack Sheffar is racing in the fifth U SPORTS individual track event of his varsity career. 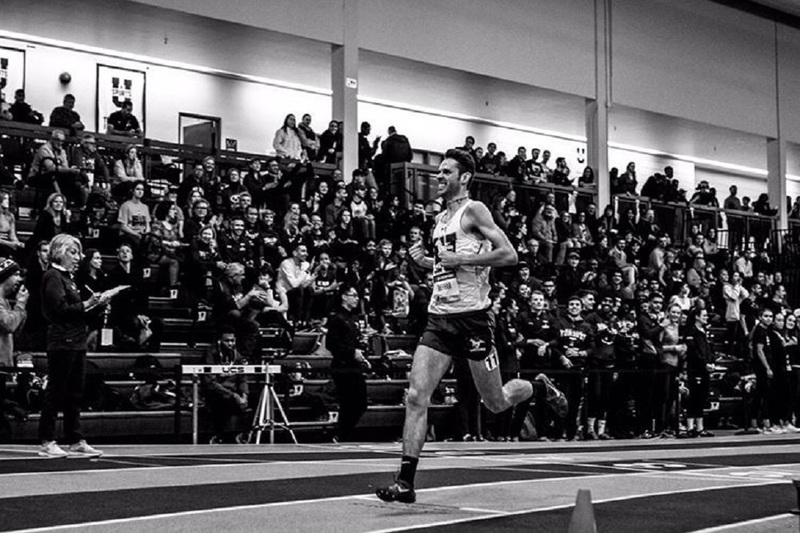 Jack Sheffar has never beaten a single person at a U SPORTS Track and Field Championship. Speaking with Sheffar, it is apparent that he has had to explain his championship weekend saga, seemingly written by Lemony Snicket, more than once. He runs through the years with as much ease as he rounds the bends of an indoor track. 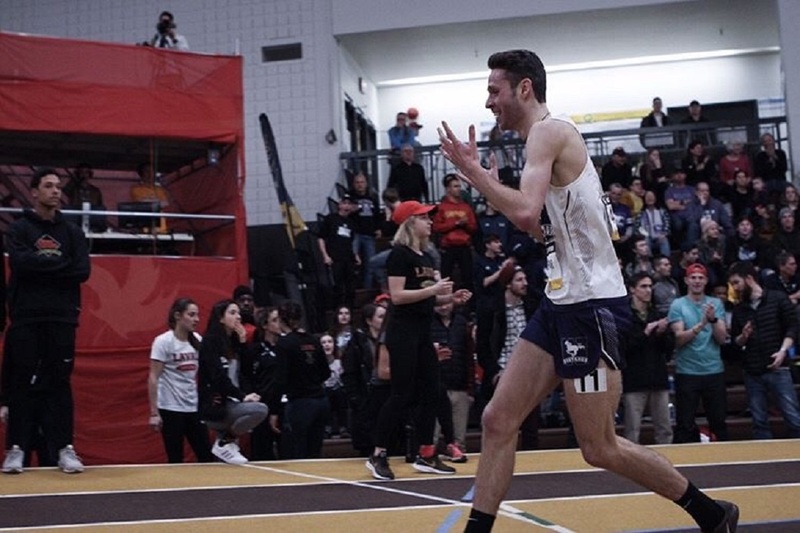 The now-infamous miscount of the U SPORTS championship in Edmonton saw Connor Black of Guelph and Sheffar (along with many others after them) kick to the line prematurely, after the officials mistakenly rang the bell a lap early. Laval’s Antoine Thibeault, picking up on the error, ran to an easy victory, while Sheffar, thinking he was done, did not finish the race. Demoralized, he went on to finish last in the 1500m the next day. With each championship day mishap, Sheffar’s varsity career flirts more intimately with the line between misfortune and parody - the better he gets, the more farcical the story becomes. 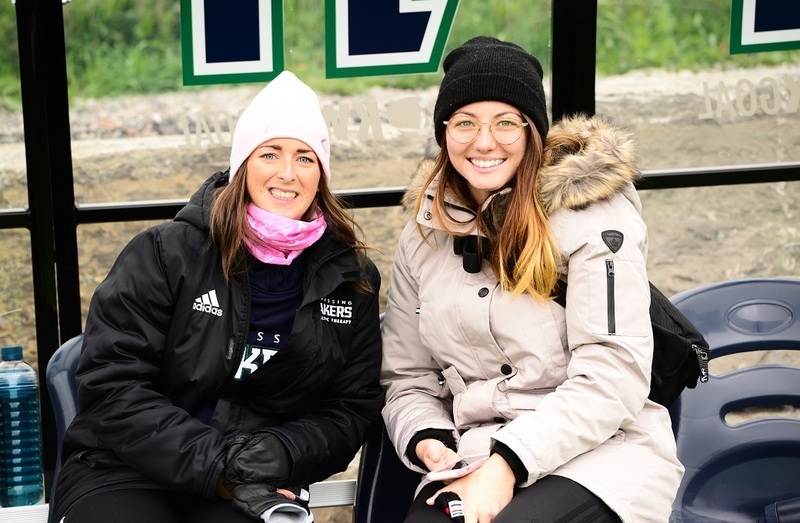 It is not every year that a U SPORTS runner challenges the 8-minute barrier in Boston like Sheffar did in 2018 and beats nobody in the national final – for the fifth time in three years. This year, however, things are different. In an effort to remove the fattening monkey from his slender back, Sheffar adds more stretching and massaging to his heavy mileage load. He focuses on improving his nutritional habits and stays away from London’s nightlife. In consequence, Mustangs head coach Guy Schultz notices his star athlete gaining confidence. In training, Sheffar aims for bigger workouts. In races, he tackles paces he used to think out of reach. At meets, he is talkative, even joking – a behavior more on brand with his usual humour – instead of wearing headphones and keeping to himself. Despite appearances and new personal bests, Sheffar has doubts before the race. How could he not? He was the favorite last year, too. Sheffar jostles and finds a place near the middle of the pack. “Just don’t fall,” he tells himself. Rawling, the defending champion, is characteristically leading. Just like Sheffar expected. The first kilometre is fast, but manageable for the field’s elite. “Only four of us can run this pace all the way,” thinks Sheffar, as he runs the first five laps in two minutes and 43 seconds. The pace slows - the field bunches. Sheffar focuses on using his tall frame to help him hold his place in the shifting pack, a skill he has refined over the years. The first half of the race, as per usual in distance events, is uneventful. Eleven men form a neatly-spaced row behind Rawling. With 1200m to go, the row becomes a group. There is jostling, and a few flailing arms send a runner down. Sheffar is centimetres away from catastrophe, as Rawling tumbles in the sea of legs. In lane two, Sheffar inches near the front. “Did I do that?” thinks Sheffar, paranoid. “Is it my fault? It would be fitting. Disqualification is the only box the 22-year-old’s calamitous career has yet to check. No time to think. Sheffar chases the new leader, Ben Workman of Guelph. Workman injects no pace, but holds a decent speed. With 800 metres to go, nine men still jostle for position in the front, creating a tripping hazard. Guelph’s Black – the defending U SPORTS cross country champion – runs next to Sheffar. So does Russell Pennock of Calgary, who took bronze to Black’s gold in the fall. Desgagnés, right behind them, looks flawless. “Get out of there!” he screams, hoping his athlete can safely run away from the pushing and shoving. Sheffar obeys and takes the lead. Schultz watches nervously. Twenty-two years ago, to the day, he was winning the U SPORTS 3000m race clothed in the Mustangs purple and white. Can something be unexpected when you’ve seen it all? Sheffar leads the lap in 31 seconds. 600 metres to go. Schultz instills a common race strategy in his athletes – one that requires a wealth of confidence. Runners fall off the pace – he surely will not finish last. Desgagnés follows him closely, Pennock and Workman chasing. Another 30-second lap. That one was too much for Pennock and Workman. Sheffar is left alone in the front with Desgagnés when he hears the bell - one lap to go. Bad memories creep in. He makes sure this lap is indeed his last. Before the race, Sheffar spoke with his mother, Tammy. He was nervous - he began thinking he was cursed. Tammy is right. There are 200 metres to go and her son is accelerating once more. Desgagnés begins to fade, but Sheffar has no idea – he flashes no look back. Instead, he relies on his teammate Ben Carson, the 2017 U SPORTS cross country individual bronze medalist, for feedback from the infield. “You’re gonna do it!” he shouts, hopping despite an injured knee. Sheffar then cruises down the home stretch. With a triumphant yet comical flapping of his wing-mimicking arms, he epitomizes his legacy as a man who, training habits notwithstanding, does not take life too seriously. With a final fist-pump, he erases the dichotomy between his obvious talent and his frequent shortcomings, before burying his head into his hands. “Winning that one was so big for me,” says Sheffar, who went on to win his second gold medal of the weekend in the 1500m, the next day. “I was known as someone who was not able to run well when it matters – someone who can’t win the big one. I don't like that. Schultz has trouble finding an athlete more deserving of the gold medal.